Главная страница » Topic of the day » Evgeni Pavlovski balalaika orchestra. 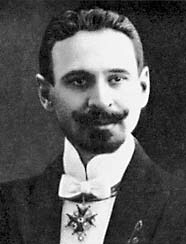 Today we would like to tell our readers more about the Danish balalaika orchestra named after Evgeni Pavlovski. The orchestra was founded in Denmark in 1936 by a young Russian emigrant Evgeni Bronislavovich Pavlovski. In Danish orchestra name is written like this: “Pavlovskis balalaika orkester”. Currently there are 25 amateur -musicians in the orchestra. Most of them have jobs not related to music. Repertoire embraces more than 300 titles from Russian folk music to Russian classical music. The orchestra possesses some rare, valuable instruments, which were produced by Russian craftsmen. The origin of balalaika is not known. Although it is assumed that its ancestor was domra. This musical instrument arrived to Russia together with warriors of the Golden Horde in XIII-XIV centuries. With years domra changed its look and turned to balalaika. This relatively simple instrument became popular among people, but later due to different reasons its popularity degraded. Balalaika is obliged with its renaissance to Valilij Andreyev, who while being a child, heard play on a balalaika at his father’s estate. Later V. Andreyev left his violin studies and deepened into learning playing balalaika. In 1884 Andreyev had his first solo concert, which was also the first balalaika concert in history. The concert was marked with tremendous success, which inspired the musician to establish a balalaika orchestra. In 1918 this orchestra celebrated its 25 years jubilee. In the same year little boy named Evgeni Pavlovski celebrated his 6th birthday. He lived in Siberia, where the beauty of nature and the beauty of music harmonize in the most natural manner. Here he learned to play balalaika. Later due to political disorder the family had to leave Russia. 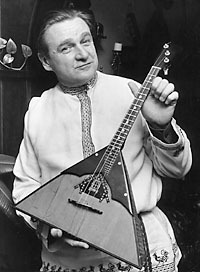 Upon arrival to Denmark Evgeni joined Tjufarins balalaika orchestra and later started his own orchestra. 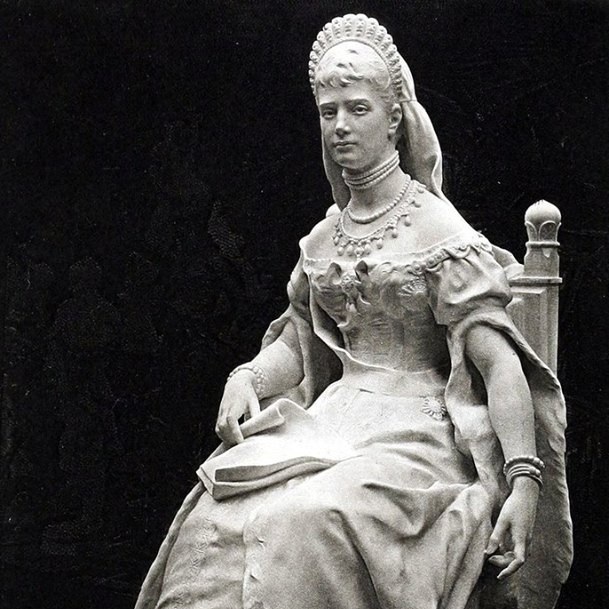 The Grand Duchess Olga Alexandrovna helped him by letting to build a small house for music exercises on the ground of Her farm in Ballerup. The orchestra made its debut at the Danish radio in 1936. At first there were only Russian speaking musicians in the orchestra. After the Second World War more and more Danes joined it. The orchestra started travelling across the country. Concerts were warmly welcomed. Evgeni Pavlovski started own sound recording company, named “Rodnye zvuki” (The native sounds). For quite some time this company produced discs, but at some point it had to be closed due to hard competition from German and American companies. In fifties hard times started for the orchestra due to absence of newcomers. To improve situation Evgeni started an orchestra for boys and later also for girls. Later the grown up musicians started joining the main orchestra. Some of these people still play in it. Nowadays the backbone of the orchestra consists of the Danes. This doesn’t stop them from playing with the real Russian fervour. Credits should be given to the lead of the orchestra – Randi Pavlovski – wife of Evgeni Pavlovski.